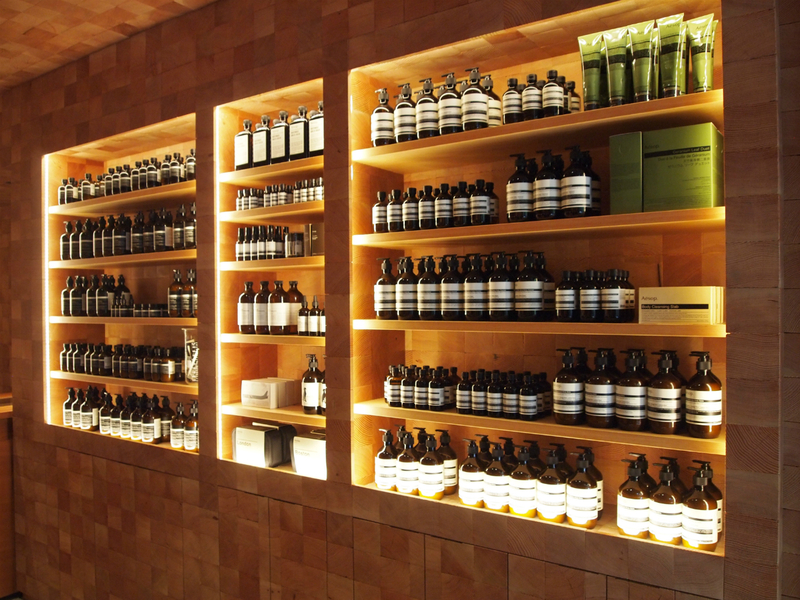 In the world of skincare and fragrance, there has, in recent years, been a return to the apothecaries of yore. 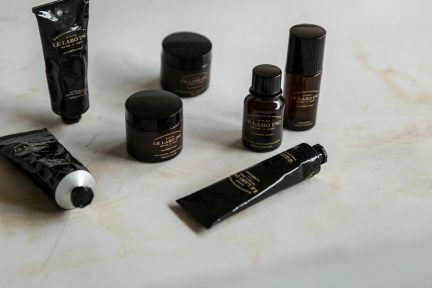 A wave of products packaged in metal tubes and glass bottles have surged to the top of the beauty world and landed in countless dopp kits and cosmetic bags. 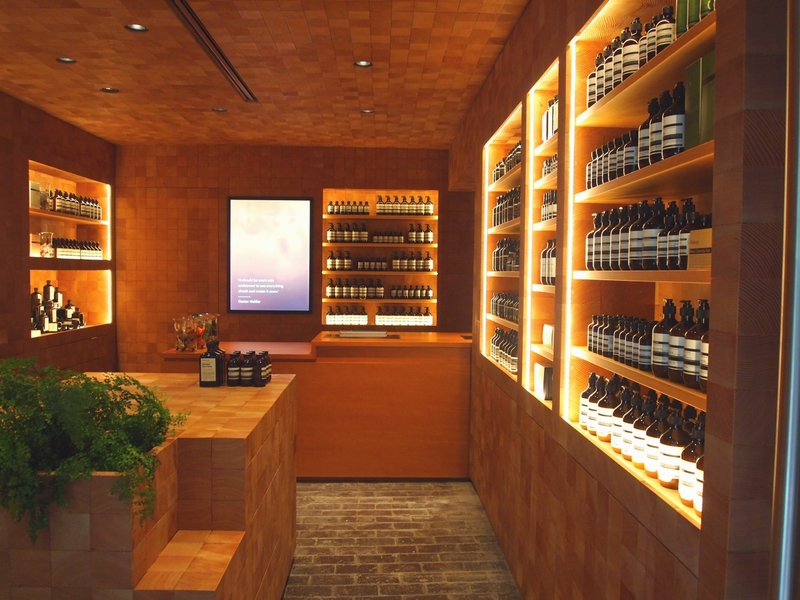 These products tend to have thicker viscosities, herbal fragrances, and are composed of naturally-inspired ingredients. 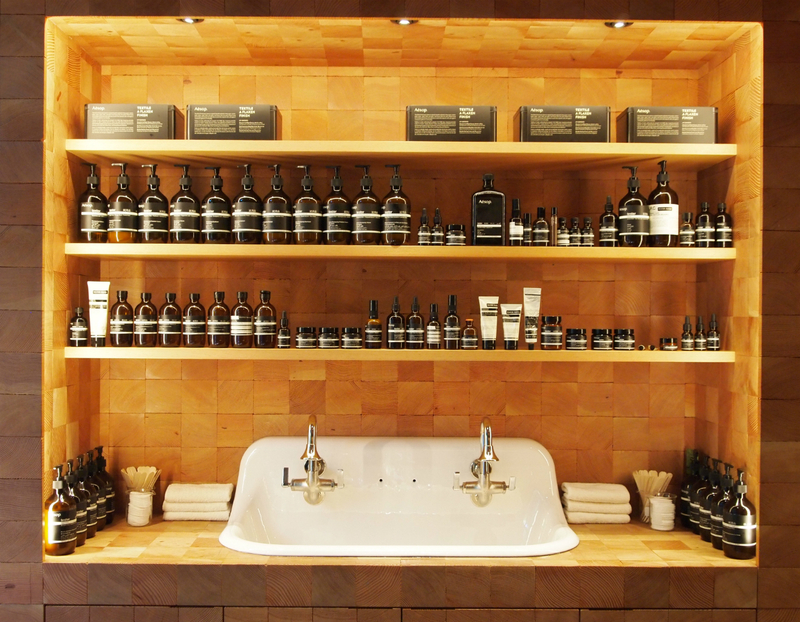 Hailing from Australia, Aesop emerged as a cultivator of the contemporary apothecary with a lineup of products, including the Parsley Seed Cleansing Masque and Camellia Nut Facial Hydrating Cream, which have grabbed the attention of consumers worldwide. 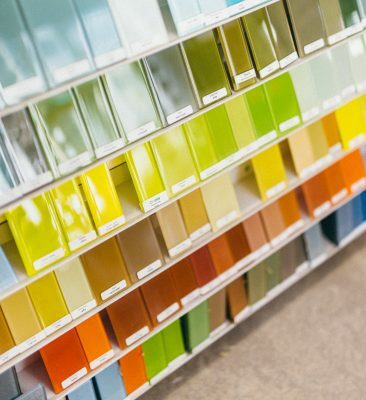 The company is also known for its signature packaging, fit for the finest of medicine cabinets. 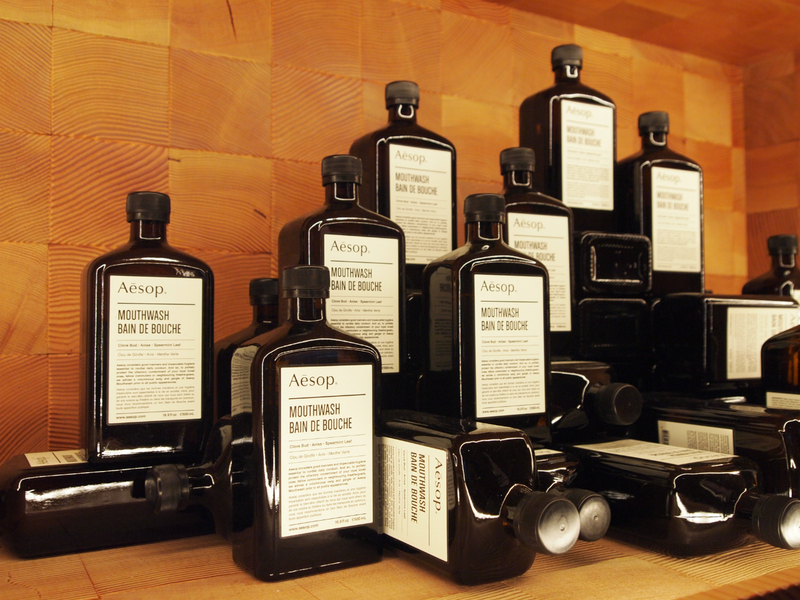 Aesop recently opened a store in Gastown, the brand’s first stand-alone shop in Western Canada. 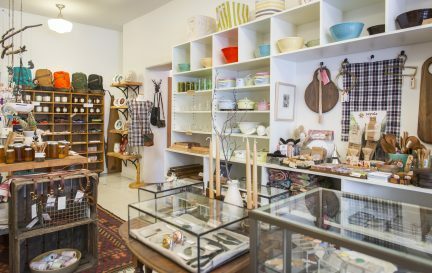 These bisected tiles mirror the pre-existing pattern and texture of Gastown, helping make the store feel like it has already been part of the neighbourhood for a number of years. 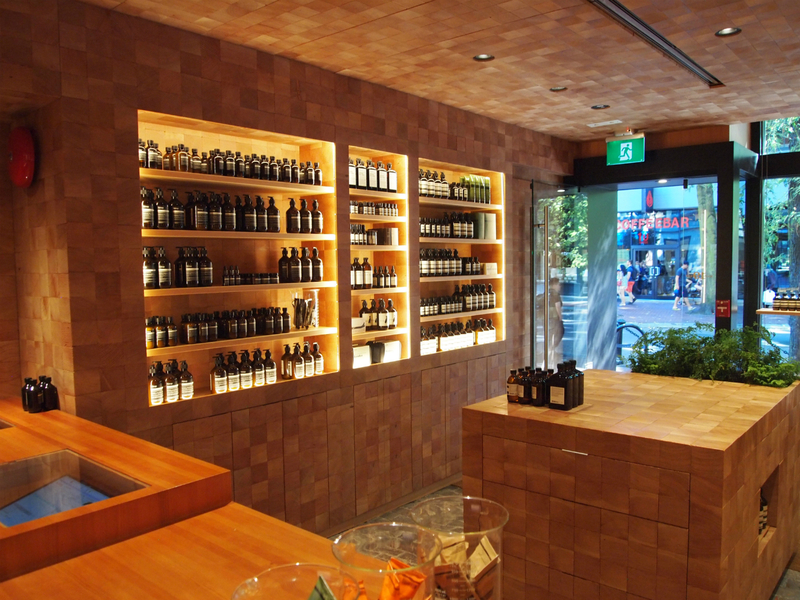 “The geometry and texture of the tiles is a nod to Gastown’s streetscape—its cobblestones and its brick walls,” says Millar. 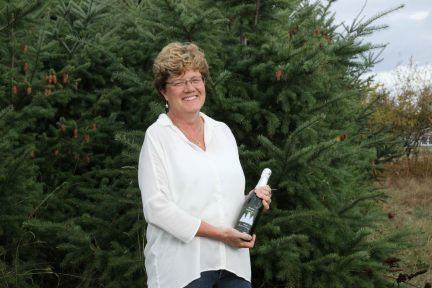 “We always seek to weave ourselves into the fabric of the street. 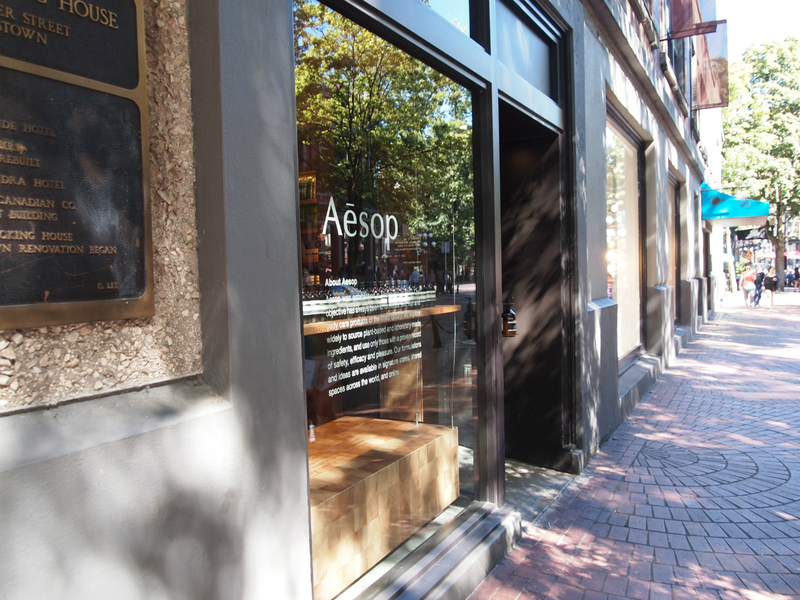 At Aesop Gastown, there is a palpable continuity between interior and exterior, between past and present.” The shop is noticeably smaller than many others in the area, giving it a cozy atmosphere with warm-toned woods, as bottles and metal tubes line the shelves like books in a library.